Illustration exploration! Send your 10-14 year old to Verge to learn about the various aspects of illustration! We will start by gaining inspiration from classic and contemporary illustrators to then practicing with different techniques and tools. 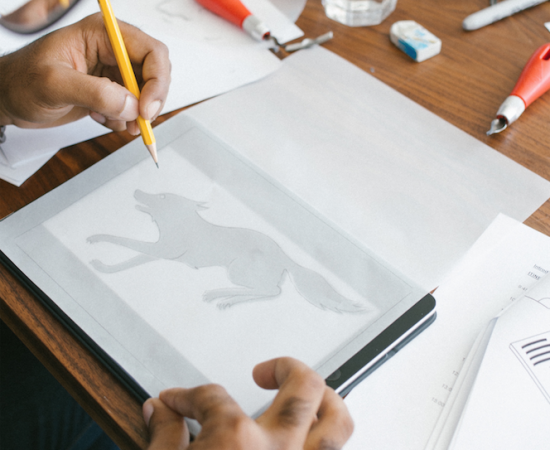 Campers will learn line variation, ink shading techniques, and how to create illustrative textures and patterns to explore character design and typography. We will draw influence from manga and learn how to draw anime portraits and “chibi” figures (ask them, they’ll probably know). On the last day, campers will learn about zines–what are they, who makes them, and why! They will learn book arts methods to create their own zines, which they will fill with their own designs or stories. Campers will also create a group zine, and a copy will be kept in the zine collection at the Central Branch of the Sacramento Public Library!